Our clients include major food companies; such as, Kraft Foods, Hershey, Nestle, Pepsico, Ralcorp, Bumble Bee, Walmart, Costco, Barry Callebaut, Chicken of the Sea, Goya, Fonterra, Conagra, Cargill. 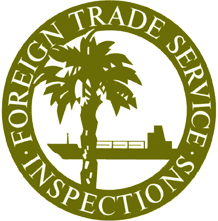 Foreign Trade Service provides independent sample collection services to the premier ISO 17025 accredited food laboratories; such as, Silliker, Eurofins, Certified and Michelson laboratories. Importers, food brokers, exporters, raw material producers and food processors all use our services to control, monitor and verify the safety and quality of food imports and to substantiate claims.